Here's an interesting account of Manuel Garcia given by Herman Klein to the American Laryngological, Rhinological, and Ontological Society in 1905. 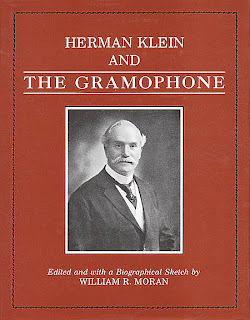 Klein studied with the great 19th century maestro for four years, and then proceeded to have a long career as a writer, reviewer, and voice teacher. He came to New York in 1901 as Garcia's exponent with the express purpose of organizing the field of voice teaching, and was the first chairman of the National Association of Teachers of Singing, which was later renamed The New York Singing Teachers Association. Garcia was 100 years old at the time of Klein's address. Manuel Garcia, Teacher, Discoverer, and Man. By James E. Newcomb, M.D. Dr. Coffin announced that it had been the intention to have an address by Walter Damrosch, but at the last moment Mr. Damrosch had found it impossible to come. He had, however, been fortunate in securing the presence of an intimate friend and associate of Signor Garcia's, Mr. Herman Klein, a distinguished music teacher, and took pleasure in introducing him to the Section. Mr. Herman Klein said that the invitation to address the Section being entirely unexpected, he had not had time to prepare an address, and therefore felt somewhat at a disadvantage in speaking, after the eloquent words of the preceding speaker. He wished, however, to congratulate him upon the absolute truthfulness of all his remarks, and the appreciation which they had shown of the character of Manuel Garcia. He also felt at a disadvantage in replacing so distinguished a musician as Mr. Walter Damrosch, but that he had one advantage over both these gentlemen in having been a pupil of Garcia and his friend for thirty-one years. In 1874 he was engaged in business in Liverpool, with no idea of a musical career, when he received a request from his parents that he would return to London and for professional reasons join them there. The house which his parents had taken was larger than they required, and they had rented the ground floor to an eminent teacher of singing, whose name, of course, was known to him. That teacher of singing was Manuel Garcia. He received his pupils and taught in this house for upwards of nine years, and Mr. Klein was brought into daily and intimate contact with him, a very great privilege, and one which he felt he appreciated then nearly as much as he did to-night, though to-night there was a feeling of added happiness and pride. His father was not a great believer in longevity, but one day he had spoken of Garcia as a man who would live to be one hundred and fifty. That showed he was at any rate a great believer in Garcia's capacity for living, and the speaker said he thought the reason for this was that although Garcia was then seventy years old, he was the most energetic, lively, vigorous, quick-moving and quick-speaking man he ever knew. He has had the ordinary share of man's cares, and has had more than the ordinary share of man's hard work, but nothing has ever occurred to disturb his equilibrium or the regularity of his living; or, if it has, he has never shown it. He was always a man much younger than his years, and it was difficult to realize in those days that his elder sister, the great Malibran, had been dead for exactly as long a period as the speaker's mother had been living, for the latter was born in 1836, the year that Malibran died. He (Garcia) was a great teacher even in his earlier days. He had a marvelous faculty for discovering the nature of a voice and training it in such a way that it progressed like the growth of a tree, the trunk carefully trained to grow toward the sun, spreading its branches in due proportion, and the roots growing long and strong beneath the surface of the earth, thus producing a perfect plant. 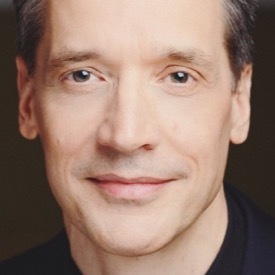 The teacher of singing, as a rule, is anxious to do more than is really necessary, and wants to decide at once whether the singer is a soprano, mezzo-soprano, contralto, or what not. But Garcia never troubled himself about that. He thought of the middle portion of the voice, and that as the tree must develop from its trunk, so must the voice develop from its medium tone. 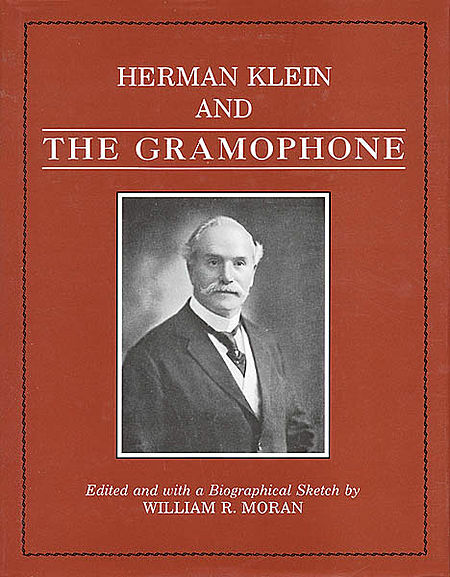 Mr. Klein described the working of the vocal cords, and explained that which could not have been known without the aid of the laryngoscope, that when the inner edges vibrate they produce the falsetto or medium voice; and that therefore that is the part of the voice which, when carefully employed, suffers least from strain, gives the truest quality, and the most beautiful and sympathetic quality, and should be the point from which to start the growth of the voice. 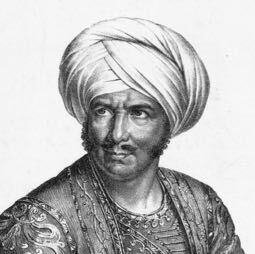 At the time the speaker first knew him, Garcia was working with all the knowledge that the laryngoscope had brought him; but he had been a thorough master of the art of teaching on the pure Italian system which was one of more or less natural results brought about by natural effects, long before the discovery which has proved so valuable to science. Mr. Klein had never seen Garcia use the laryngoscope, although he had seen him teach a great many students. He never thought it worth while to teach by means of technical or physiological expressions. His great idea was, as far as possible, to keep the mind of the pupil clear and free from any technical expressions which were calculated to confuse the mind of the student, and this was no doubt the manner of the great Italian masters before him. It should be remembered that Garcia, who knew and knows everything worth knowing about the human throat, with all his technical ability, was content to teach by the old process without the assistance of more artificial resources. In his modest way, Garcia was fully aware of the value of his invention, and knew what was being done with its aid. He knew that it was not alone for the purpose of singing that a great Providence had enabled him to discover it, and he did not regard it as an essential for teaching singing. For other technical studies, apart from the laryngoscope, he had a very cleverly constructed model of the human throat which he had brought from Paris. This enabled students to see what the interior of the throat was like, but beyond that, Garcia confined himself to the model of his own voice and to instructions as to the manner of using it. He was, therefore, proud that this great year should be recognized as it was in such exalted quarters. He certainly regarded his discovery as of greater value from the medical or scientific standpoint than from that of the teacher. The speaker expressed great approval of a little book by an eminent music teacher in Berlin, who seemed to thoroughly understand the wonderful teaching of Manuel Garcia from the technical point of view. A very interesting point was one for which Manuel Garcia was alone responsible. As the result of his observations with the laryngoscope, he was able to describe for the first time the exact manner in which the vocal cords acted in the attack of a vocal sound. Being in France at the time, he gave this the name of the "coup de la glotte" (the stroke of the glottis). In a book published later he mentioned this coup de la glotte, taught it, explained it, and demonstrated it. As long as he did this himself, it was all right, but in the course of years there grew up a generation of teachers who, having read what Garcia taught, brought out their own text books also, and they began to teach the "coup de la glotte" according to their ideas. The result was that sooner or later the phrase assumed a wholly strained and incorrect meaning. The speaker told how Madame Melba had expressed to him her surprise that he believed in the coup de la glotte. "What," she said, "you believe in that terrible thing, the coup de la glotte, and that it is the way people attack their notes?" 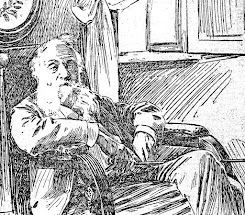 That was the idea she had formed of Garcia's term, and it was the idea that to some extent prevailed to-day in Paris; but the manner in which Manuel Garcia himself described it was that it was the simple first explosion of the sound produced by the voice, the stroke of the glottis in the act of emitting the vocal sound. The two ideas were as far apart as the poles. 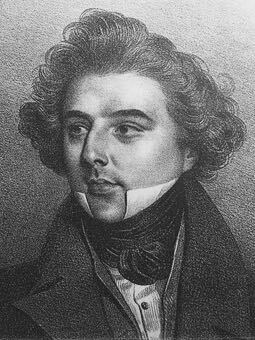 Some eleven or twelve years ago, a lecture was delivered at the Lyceum Theatre in London by the famous baritone, M. Maurel, who claimed to have discovered the true art of singing, as no one else had known it before. Incidentally he violently assailed the coup de la glotte. Of course his view was the wrong one, but for some time the term had been in disgrace, for hundreds of teachers had taught it so badly that it had become discredited. With some persuasion the speaker had induced Garcia, who was present at the lecture, to write a letter to the Sunday Times categorically denying M. Maurel's statements, and making the true meaning of the term perfectly plain. Nevertheless, the false impression still persisted. With regard to his own studies with the famous teacher, Mr. Klein said he had no time to relate reminiscences. He would only say that Garcia was the most perfect master of every branch of his work that could be imagined. His wonderful powers of observation, his patience, his marvellous appreciation of the capacity of the organ, and his ability to exactly train it within its true limits, and no further, had never been surpassed by any other teacher, and yet to all appearance, no man was ever so completely unaware of the greatness of his work. 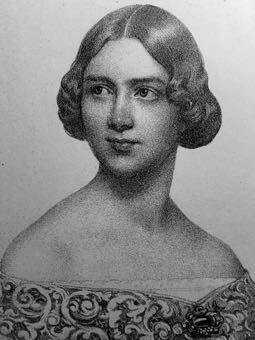 In 1841, sixty-four years ago, the great singer, Jenny Lind, came to him in Paris with a voice completely shattered by bad training and over-exertion. She showed that she had had a beautiful voice, but nearly everything in its management was faulty; the registers were wrong and she could not even make a shake. Between August, 1841, and July, 1842, she studied with the great teacher, and he completely renovated her voice; and, thanks, of course, to the natural strength and beauty of the organ, he turned out the Jenny Lind who was the vocal marvel of her time. The speaker closed by expressing again his appreciation of the privilege of being present at this gathering, held in honor of his great master. He felt like a stranger far away from his native land, who yet on some great festive occasion could enjoy being in the midst of those who were thinking and feeling as he did. He was very proud of having been able to address the meeting, and would not fail when he again saw Manuel Garcia to tell him the story of that evening, and he would like in advance to offer the Section Senor Garcia's thanks for the compliment they rendered him, for he would assuredly value it no less than the honors which had been bestowed upon him in London at the same time. 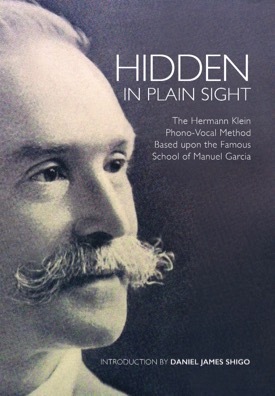 Of course, my vocal pedagogy sleuth mind is thinking: Who was the voice teacher in Berlin that wrote the "little book" that Klein approved of? Ferdinand Sieber? And isn't it interesting that Garcia endeavored to keep the student's mind free of technical expressions, tended to the health of the middle voice, not bothering with voice classification in the beginning of study, and taught by the old process?